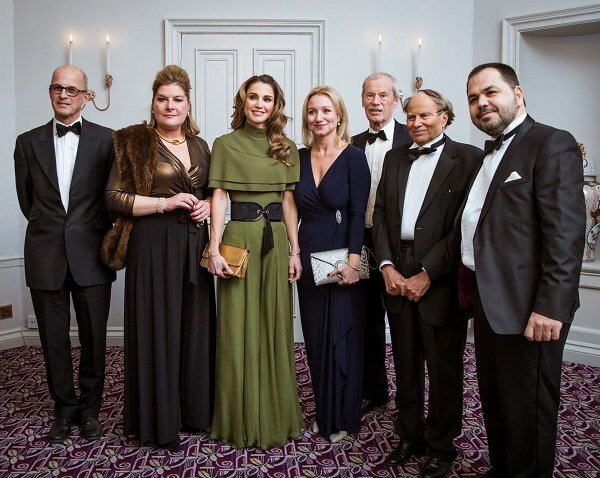 Queen Rania of Jordan received Foreign Press Association’s first ever humanitarian award. 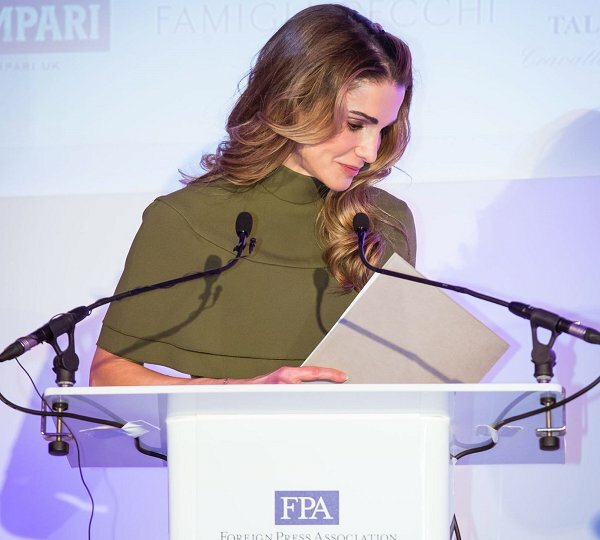 Queen Rania said that human empathy and compassion need an urgent upgrade in order to keep pace with accelerating technology and innovation, after accepting the humanitarian award of the year from the Foreign Press Association (FPA) at the Sheraton Grand Park Lane Hotel on November 29, 2016 in London. What a lovely, feminine and modest dress, fit for this occasion. Jewels would ruin it especially because of the purpose of the award. I think this is a jumpsuit and it is stunning. I like dramatic outfits, like this one, that are not cluttered with jewelry. Simple and chic. I envy her height to be able to carry this off so well. Rania is a very beautiful woman and this outfit is stunning! But she seems to be very thin, doesn't she? Wow, this looks great! What a special neckline-shoulder-cape combination! LOVE this! Now this is different! Love it. Beautiful hair and make-up. Not so sure about the belt and clutch.